Logo design and company naming for an independent furniture maker. Client Ben utilizes salvaged or accessible materials such as pallets or plywood to make attainable, beautiful, and lasting alternatives to mass-produced fast furniture. 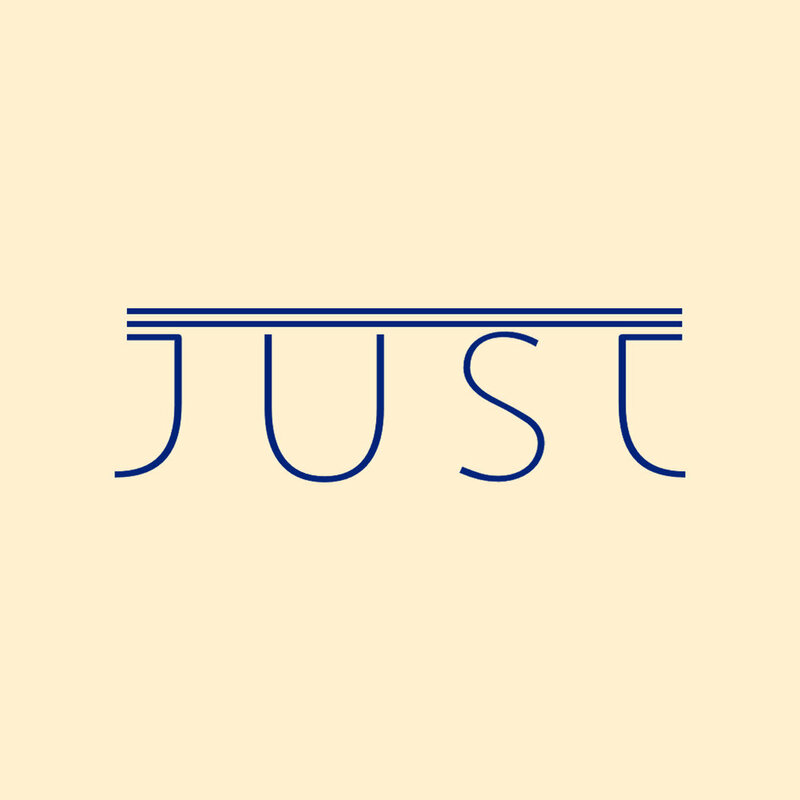 We took the simplicity of his materials and mission to come up with a brand name, "Just," a word he uses in his personal vocabulary and which we wanted to ennoble. I developed a mark that evokes his furniture's signature layered wood elements and hairpin legs. I designed thicker versions of the mark in different widths to have cast as branding irons that Ben uses to burn his signature into his pieces, depending on the size of the finished furniture. The blue and cream palette is inspired by old woodworking and power tool manuals.